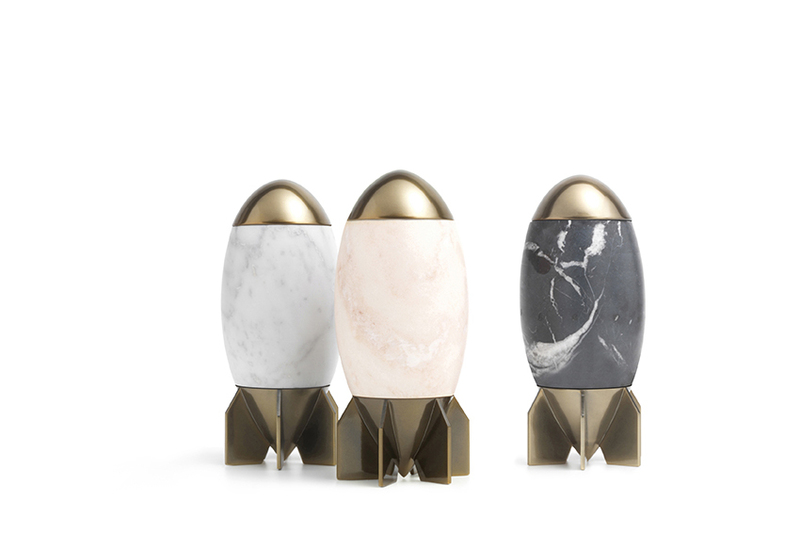 LAV / HERMA, RAPUNZA and WANDA. 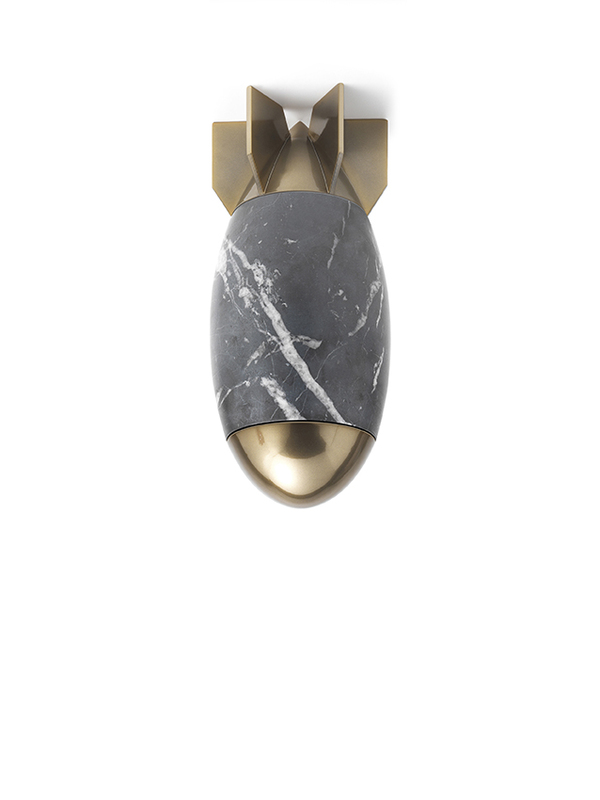 While The war still remains in many spots on earth: rockets and bombs are the nightmare of too many nations, and they damage the physiological even the mental health of too many people therefore I created “LAV” a collection for the eclectic brand JCP UNIVERSE including Herma, Rapunza and Wanda with a main target an emotional rehabilitation from the war impact. 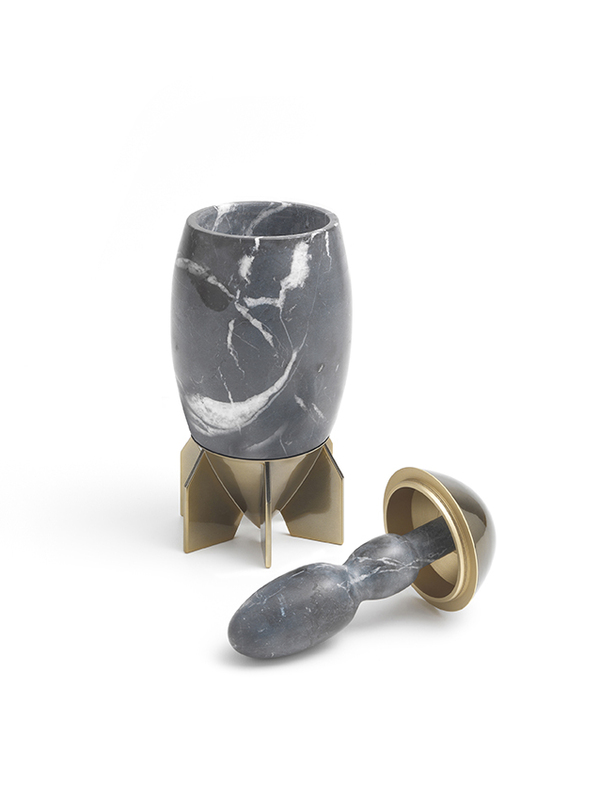 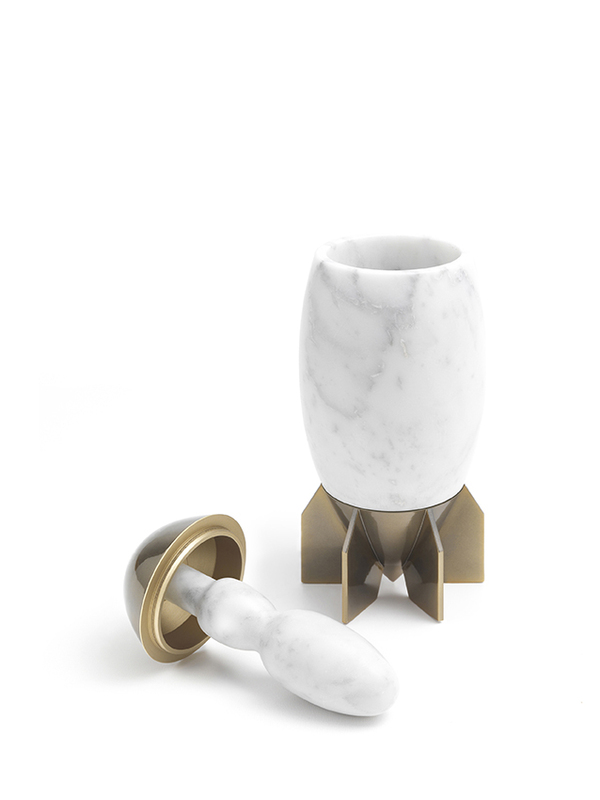 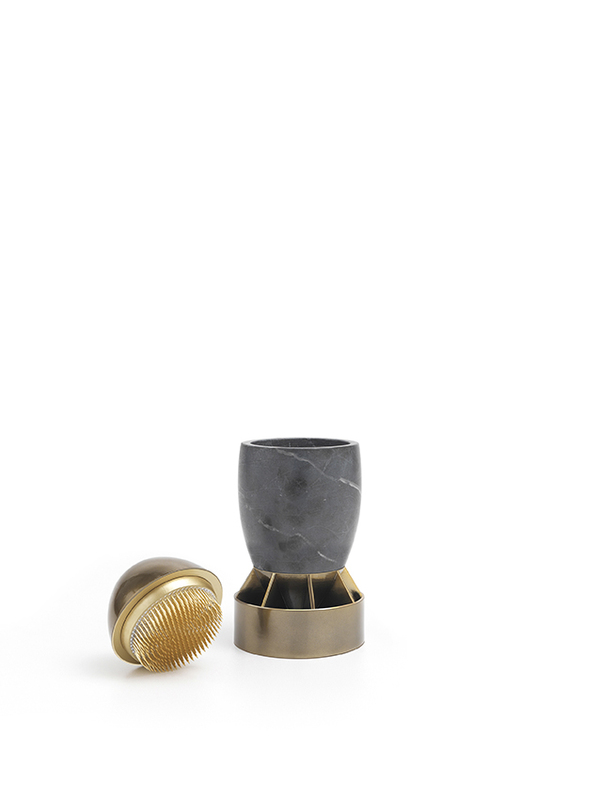 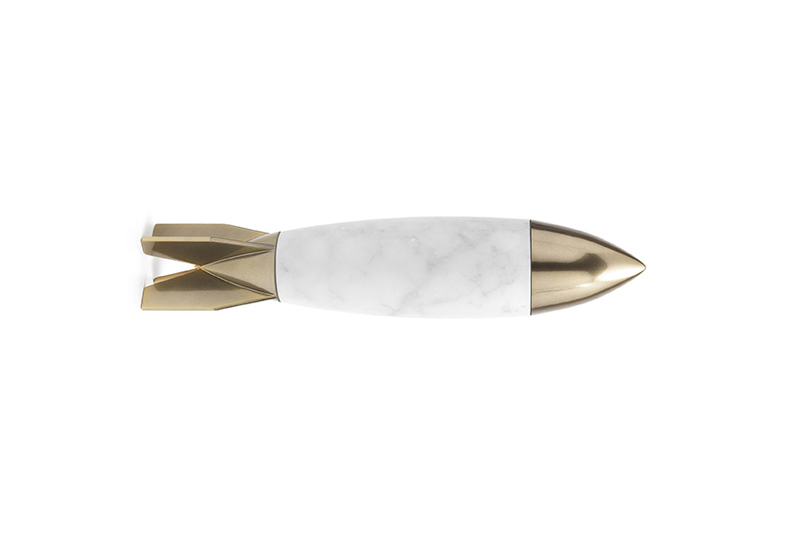 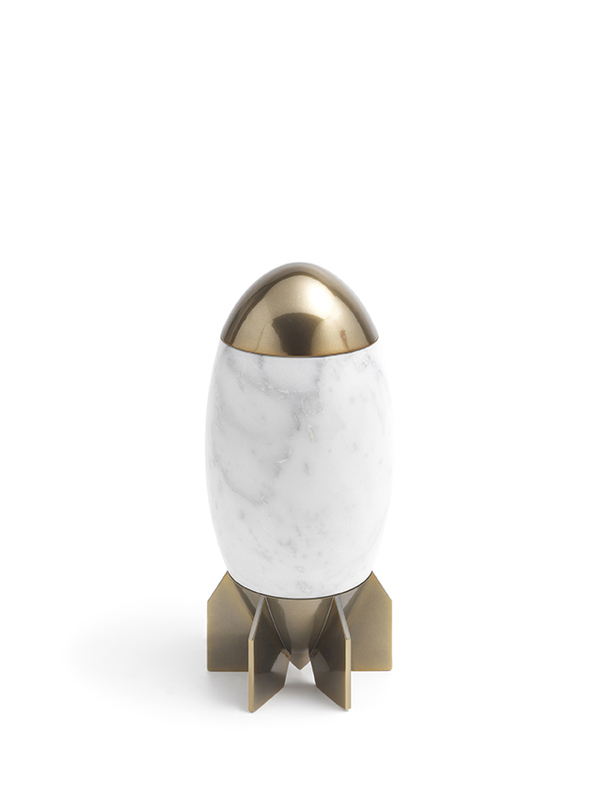 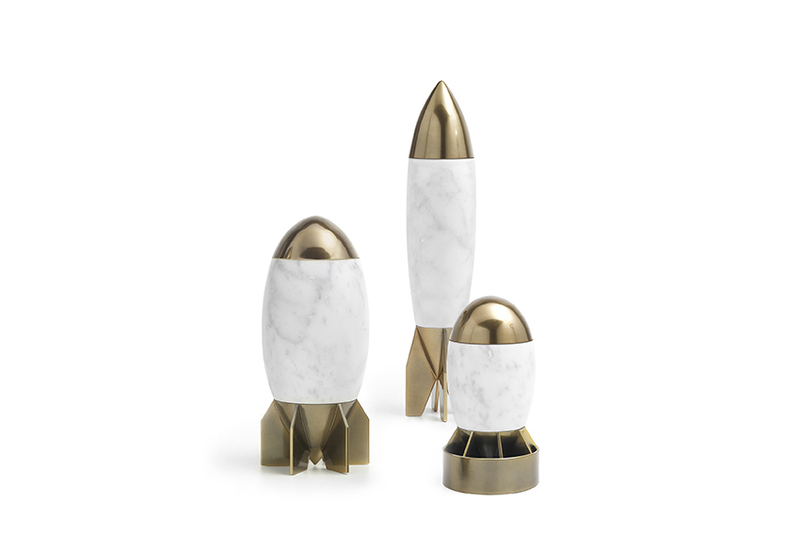 These metaphorical small vases/containers made of various marble colors and 3d printed in photopolymer resin with liquid metallic bronze finishing, comes with the idea of overcoming the horrifying reality of war by using the exact shape of missiles and transforming it into a humorous, yet multifunctional, home accessory. 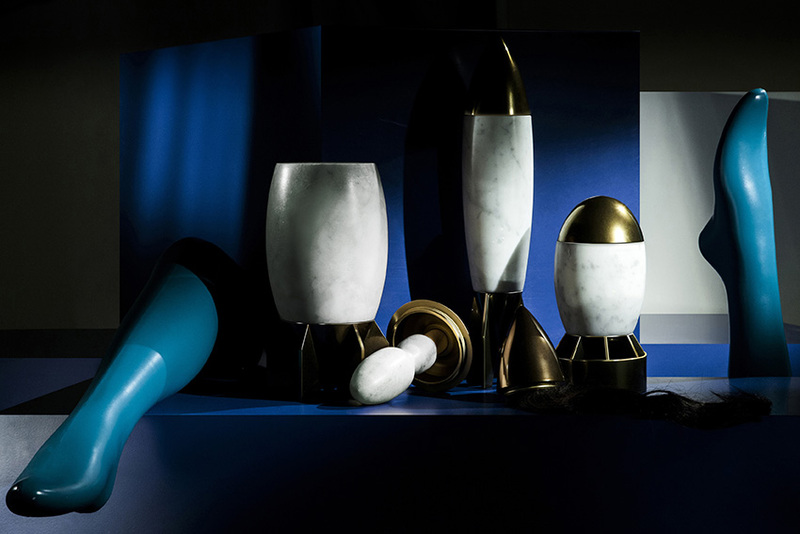 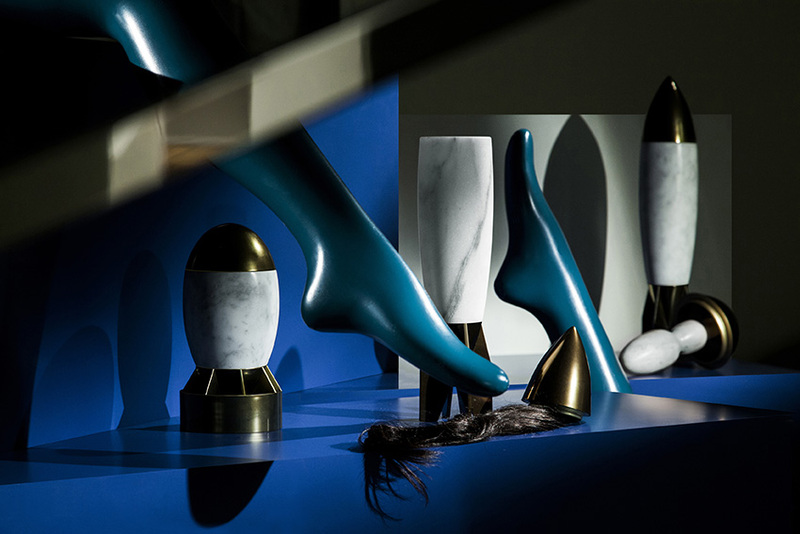 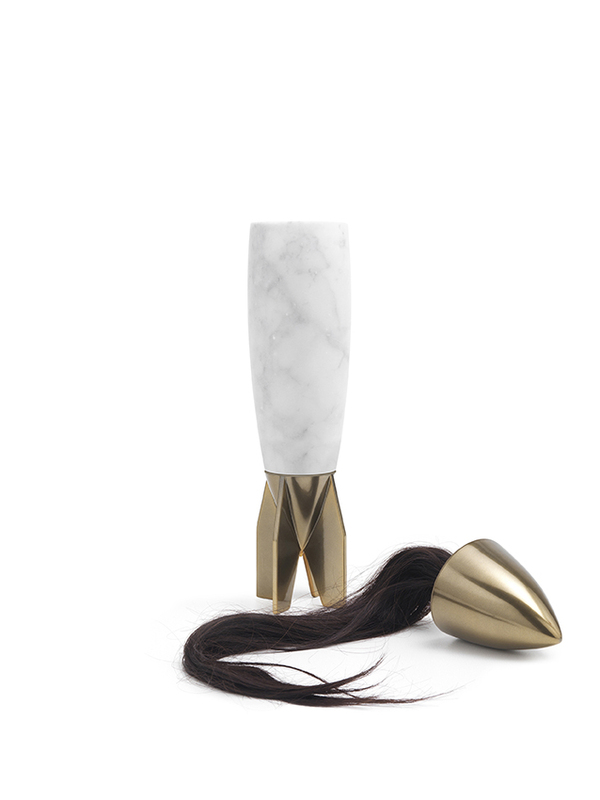 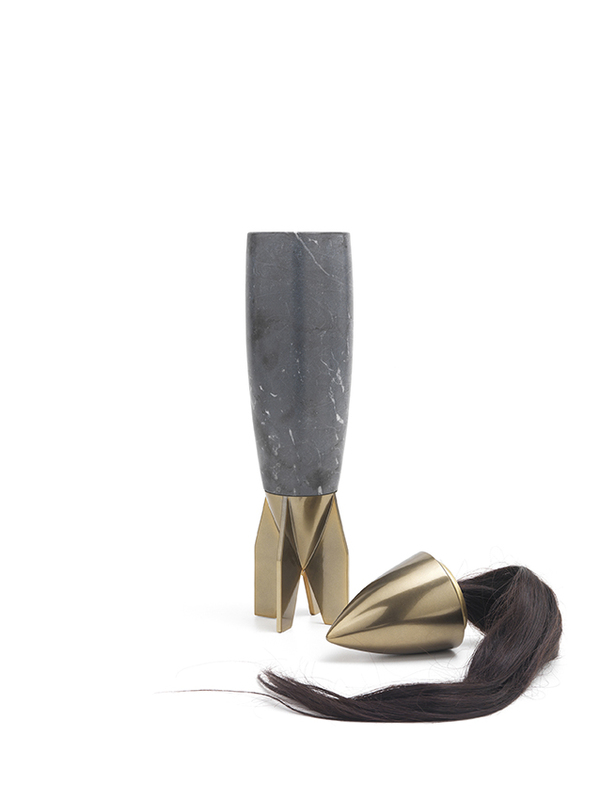 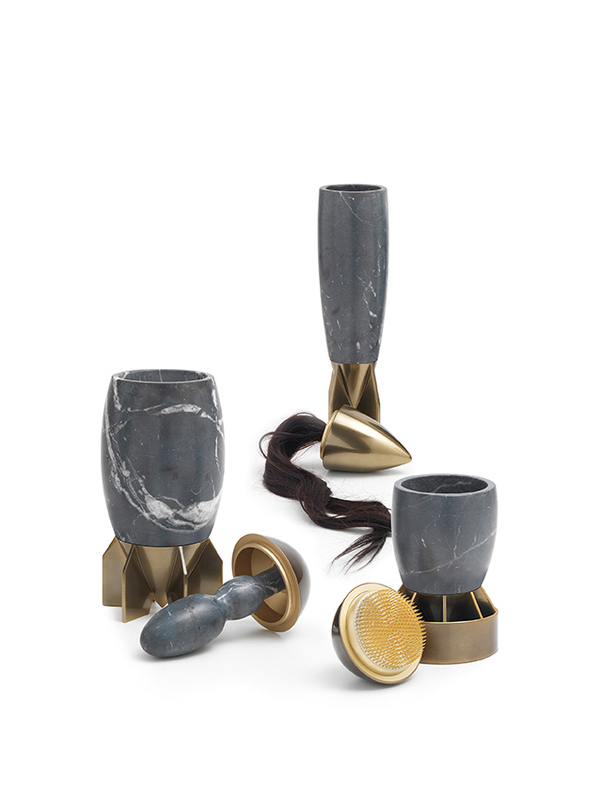 When opened up these vases reveal this time a positive surprise of twisted fetish yet sensual and sensorial toys made of brass , marble and genuine hair , furthermore using the body of the object as flowers vases which translate life and its splendor.